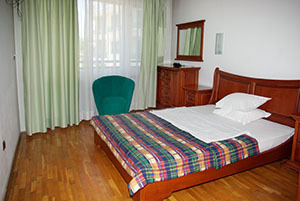 The rooms are cleaned every day (except when non-disturbance is requested by the guest). 24 hrs. roomservice is available. 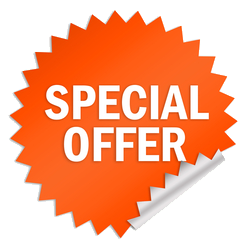 At your request we can provide you with some special additional accessories, such as children beds, etc. at no additional charge. Whether you are planning a stay with your family or you are simply in need for some extra space, the RotasaR is proud to offer you our spacious and sunny apartments. 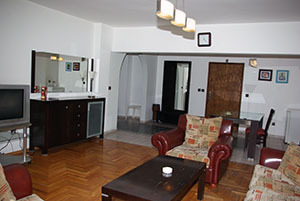 Besides all the features that are standard for our rooms (such as air-conditioning, direct-dial telephone, cable TV), at our beautifully furnished apartments you will enjoy two bedrooms, the large living and dining rooms and a kitchen box, as well as the extra powder room and large balconies overlooking a quiet street lined with beautiful mature trees. All bathrooms are well-equipped with both shower and a bathub. Extra minibar is available, too. The RotasaR apartments are the perfect solution for families of 3 or more (the master bedroom is furnished with the standard king-size bed, while the second bedroom offers two separate large beds), looking for a quiet retreat, businessmen demanding more room, and VIP guests. And it all comes at a surprisingly affordable price! Please, get in touch with us to check availability and make a booking.